I really like these. they turned out awesome. I think these would be a big hit in Hong Kong. 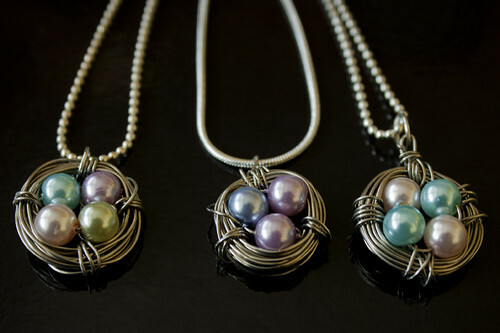 Everyone loves bird nest soup, why not bird nest necklaces? Classy. Thank you 🙂 They were fun to make. They look very interesting. I like the one your daughter choose too, i guess it’s the odd number theory.